A JUNIOR football club in Wargrave will hold an open day on Saturday, May 6 to mark the end of the season. 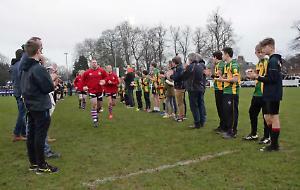 Wargrave Wolves has 12 teams from under-sevens to under-14s. The open day will be held at the recreation ground, off Recreation Road, from 2pm and will include games, trophy presentations and a barbecue. The club is looking for new players and children aged five to 14 are invited to attend.